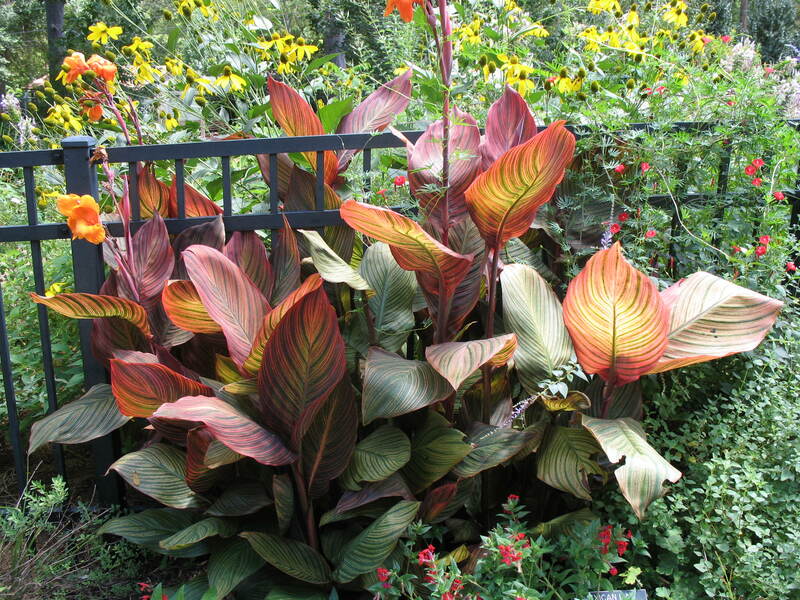 Very popular canna with orange and red variegated foliage. This striking clump of cannas was photographed at the Master Gardener garden in Tyler, Texas. Comments: Foliage is amazing with green, red, and hints of gold and purple. It is a specimen or accent in the landscape because of its distinctive color. Bold, striking foliage that is often featured in various color schemes.